Members in good standing for a minimum of 90 days are eligible to rent Rockbrook Pool for private parties for a nominal fee. The pool is available for rental from 8pm-Midnight daily. The pool rental time includes your set up and clean up time. Members and guests will not be permitted to set up before their rental time. THE GUARDS WILL NOT BE RESPONSIBLE FOR CLEANING UP AFTER YOUR PARTY. If the pool is not left in the same condition as it was found, you will be charged a cleaning fee of $100. All individuals will be asked to clear the pool during the last 15 minutes of the party to ensure the facility is properly cleaned. The pool rental fee for private parties is $50 per hour with a two hour minimum requirement. Lifeguard fees are $16 an hour per guard with a two guard minimum. The above fees apply for parties with up to 20 guests. Guests are defined as anyone in the pool area regardless of swimming or on deck. For each additional 20 guests, one additional lifeguard will be added at $16 an hour for each hour of the party. A maximum of 5 lifeguards is needed to ensure coverage of the pool for larger parties. Gazebo usage is included in the rental fee for private pool parties. Use of our Grill and Propane Tank are an additional $20 per Propane Tank. Please check out the Propane tank and grill supplies at the desk. Turn off & return the propane tank and clean the grill following usage. How Many Guards will this party require? Guards will be staffed based on the number of guests provided on this reservation form. Fewer guest turn out will not allow for a decrease in party costs due to our need to staff each party in advance. Also, additional guest turnout at your function may require more guards to be called in. A $20 call in fee will be added for each guard that needs to be called in to manage pool capacity + the normal hourly fee will be added. **Any clean up or damage incurred during the rental of the pool facilities is the responsibility of the member. A cleaning fee of $100 will be accessed to the member if the facility is not left in clean condition. 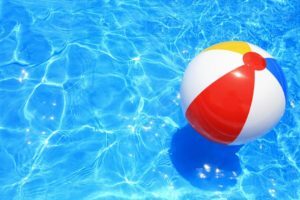 Any damage done to pool property during rental of the facility will be billed to the member. Parties during regular pool hours are required to pay the normal guest fees ($5/person) for any non-member guests attending the party. Guests are defined as anyone who comes into the pool area regardless of swimming or on the deck. The gazebo is available to rent during regular pool hours at a rate of $50 for 2 hours and $25 for each additional hour. Use of our Grill and Propane Tank, along with either Gazebo rental or private party, are an additional $20 per Propane Tank. Please check out the Propane tank and grill supplies at the desk. Turn off & return the propane tank and clean the grill following usage.